California's waterways offer boaters a variety of on the water experiences, from exploring the secluded coves of the Sacramento-San Joaquin Delta, to sailing the state's 1,100 miles of coastline. But the pollution of our waterways from a number of sources can spoil boating and other aquatic recreation. Unfortunately, recreational boaters add to the pollution problem when they fail to dispose of boat sewage properly. 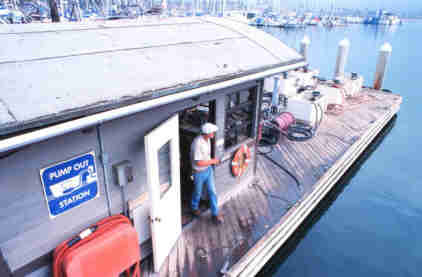 Click on links below for locations of vessel pumpout stations in California. Don't Dump - Use These Pumps!